TRUTH IS ALWAYS TRUTH FOR ALL PEOPLE, OF ALL ERAS, EVERYWHERE AT ALL TIMES. 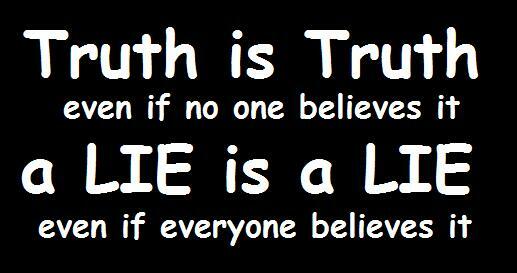 TRUTH IS BOTH ABSOLUTE AND UNIVERSAL. I write this article because there are many otherwise good, faithful Christians who have an unBiblical, hence, and unhealthy view of love. Though most deemphasise Truth, and overly/wrongly emphasise love do so as a cloak for their, and other’s sins, some do so because they sincerely want and expect the best in and for everybody, OR because they do not like confrontation of any kind. BUT the result IS THE SAME: rampant sin and immorality…which IS the death of any family, church, community, and nation. Recently I had well meaning CHRISTIAN LEADERS tell me that there is NO place for politics in Christianity, and NO place for Christians in politics. Look around and tell me how that’s working for you. BUT NOT AMONG THE POLITICIANS THAT PASS LAWS WE ALL HAVE TO LIVE BY??!!! 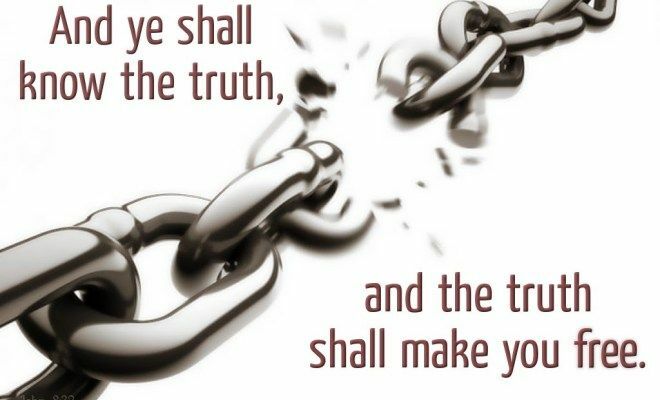 If we settle for nothing less than The Truth of God and His Word, THEN The Lord Jesus Christ rules us. Anything and anybody short of the FULL surrender to, embracing of, and living out of The Truth, is settling for slavery. The less truth- the more slavery. The more truth- the more Liberty. And THIS includes those who rule over us. Note: Trump team knew Beckler had died. They didn’t know he had failed to lock down their electronics and emails – and didn’t know GSA staff had produced them all without telling anyone. One more note: as the letter in the link lays out, Beckler was incapacitated by August. He was hospitalized when Mueller’s crew came a’knockin’. I’ve been challenging conservative friends to this thought experiment for months and months. “Yeah, but Hillary is different” is always the backstop, as though whatever HRC did makes all accusations about DJT false. Excellent read, thank you for Speaking Truth to Power.